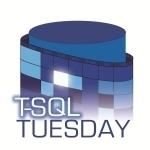 For my second TSQL Tuesday post, I wanted to introduce a nifty feature in the dbatools lineup called Restore-SQLBackupFromDirectory, which used Ola Hallengren’s scripts as a baseline to restore a server from a backup folder, however during writing this I came across a newer command that Stuart Moore engineered (Restore-DBABackup) which made it entirely redundant, expect his post coming very soon. Since there was a bit of a last minute pivot, we are going to do a whirlwind tour of two new PowerShell commands that just hit the lineup regarding database backups, Get and Remove-DbaDatabaseSnapshot. These along with an additional function coming soon (New-DbaDatabaseSnapshot) are going to make it super simple to create, list, and remove database snapshots on your SQL Server instance. Returns a list of database snapshots on your SQL Server. Accepts multiple SQL Servers, and can filter inclusively or exclusively on the base database name to find snapshots. Drops snapshots from your SQL Server. SqlServer – Indicates what server you would like to operate on. Databases – Operates as an inclusion filter for database names. Exclude – Operates as an exclusion filter for database names. Hopefully after reading today you have two commands ready to help you manage your database snapshots, and I have whet your appetite for the upcoming restore and snapshot commands coming soon! If you don’t see the filtering/parameter populating from tab completion, this indicates an issue connecting to your SQL Server. Both of these commands were written recently by one of the newest contributors to the project, niphlod great job! If you want to learn more about dbatools (free PowerShell module with nearly 100 SQL Server administration, best practice and migration commands included) checkout https://dbatools.io we have a growing team and we want contributions from busy SQL DBAs like yourself. If you are unsure where to start or just want to join the growing community, you can find us on the SQL Community Slack feel free to send me a message if you need some help!